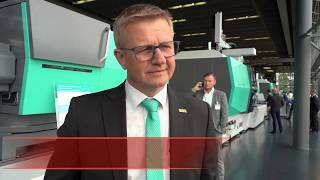 More than 1.000 guests invited by Erema made their way to Ansfelden, Austria, for the Discovery Days 2018 from 27 to 29 June. 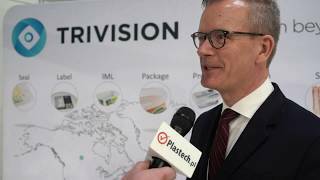 Well-known companies from the plastics sector, such as Borealis, Engel, Greiner, Haidlmair and Henkel gave participants an insight into their view of working with plastics in a sustainable way. Besides the technical and strategic answers presented by Erema with regard to plastics recycling, there was an extensive array of perspectives on the topic of the plastics industry – the circular economy. The conclusion of the conference: only more intensive collaboration within the industry can collectively develop the required technologies which will meet the recycling targets and thus see more recycled pellets used in end products. 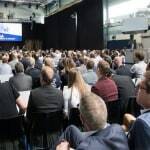 With this year's Discovery Days Erema staged a multi-company event to inspire its attendees together to address what is without doubt the most talked about topic in the plastics industry: how the amount of recycled material in and the recyclability of end products can be increased. At the beginning of the conference Manfred Hackl, Erema Group CEO, summed up the challenges facing the industry as follows: "To reach the new European recycling goal of 55 per cent by 2030, more than 10 million tonnes of recyclate has to be used in the end markets. Compared to 2014, this corresponds to more than double the amount of recycled material. To achieve this, we as raw material manufacturers, producers, processors and recyclers together have to identify new markets, make use of previously untapped sources of plastic and foreground and implement even stronger design for recycling in the long term. The impressive presentation of concrete lighthouse projects in the post-consumer and production waste recycling sectors showed how advanced the technical recycling solutions are already. For them to become a fixed part of the solutions of tomorrow, everyone involved in the entire plastics chain must have an intensive exchange of experience. "As a producer of brand articles we work systematically together with our partners on optimising our packaging. In doing so we rely on small amounts of material which, on the one hand, are made with recyclate and are at the same time recyclable. Resource efficiency and premium products are not a contradiction in terms in our view," says Thorsten Leopold, Head of International Packaging Development Home Care at Henkel. Attendees were shown how far-reaching the product range of such end products made of recyclate already is today at the accompanying product exhibition at the Erema headquarters. From pipes for the construction industry and lifestyle products such as sunglasses to coffee machines – products containing recycled material have been part of our daily lives for quite some time. High-quality recyclate is essential here, made possible by modern recycling technology. 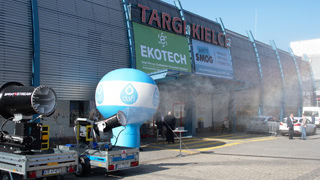 Visitors were able to see this for themselves throughout the Discovery Days: a total of 10 recycling machines from Erema and its sister company Pure Loop were live in action around the clock.